City’s History staff have come together and designed a really unique History course that we believe you will enjoy and one that will really help you in your chosen field of work. Our staff have come from across the globe and have taught in many very well established institutions such as Oxford, Cambridge, University of California, and the University of Amsterdam. Here’s a quick overview of who’s who, you’ll get to meet them if you attend an Applicant Day. 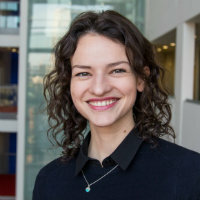 Dr Dina Fainberg’s specialises in the history of the Soviet Union and modern Russia, with a particular emphasis on the Cold War, late socialism, mass media, propaganda, and Russia's relationship with the West and has published widely on these subjects. Her book: “Cold War Correspondents: Soviet and American Reporters on the ideological Frontlines, 1945-1991” is forthcoming with Johns Hopkins University Press. Dina was educated at Rutgers University and holds a PhD in Modern Russian and Modern U.S. History. 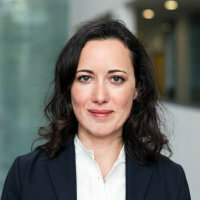 Before coming to City she worked at Rutgers University, New York University, the University of Bremen and the University of Amsterdam. As the History Programme Director Dina also oversees the programme as a whole, including curriculum, assessment and most importantly, student wellbeing. 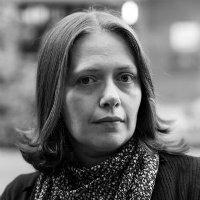 Dr Lise Butler is a historian of modern Britain, with particular expertise in political history, left-wing politics, and the history of the social sciences. She is currently completing a monograph on the policy maker, sociologist and social innovator Michael Young and the relationship between the social sciences and left-wing politics in post-war Britain. Dr Lise completed her doctorate in History at University College, Oxford in 2015. Prior to coming to City she was a lecturer at Pembroke College, Oxford. Or’s research focuses on the history of political thought in the twentieth century. She is interested in the intersection of intellectual history and international relations in Europe and the US. Or has published on geopolitics, cosmopolitanism, federalism and democracy theory in Britain and the United States. Her book, “The emergence of globalism: Visions of World Order in Britain and the United States, 1939-1950”, was published by Princeton University Press in 2017. Or completed her doctoral studies in Politics and International Studies at the University of Cambridge. She holds a BA in Modern History from the University of Bologna, Italy, and MSt in Global and Imperial History from the University of Oxford. Before coming to City, Or was a lecturer and Junior Research fellow at Queen’s College and POLIS, at the University of Cambridge. Dr Or Rosenboim is a Fellow of the Royal Historical Society, and winner of the Prix Aron 2014. Dr Peter Grant is one of the UK’s leading practitioners in public and charitable funding. After working in the arts he was Director of an inner-city youth charity. On the commencement of the National Lottery he moved to Sport England where he devised the first Lottery programme to favour areas of deprivation and was one of the architects of Awards for All. 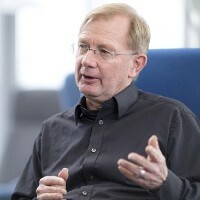 Peter then devised the world’s first full masters-level programme in grantmaking and philanthropy at Cass Business School where he is academic leader of the Philanthropy, Grantmaking and Social Investment, Charity Governance, Understanding the Voluntary Sector and Business and Society programmes. His areas of expertise are based around Voluntary Action History (Especially during the First World War) and Popular Culture and History (Especially relating to music and the First World War). Peter is based in the world renowned Cass Business School and also works on a consultancy basis, his recent clients include the The Prince's Charities and the Cabinet Office. Peter is a Fellow of the Royal Historical Society, trustee of the DHL Foundation and of the Amy Winehouse Foundation, former Chair of the Voluntary Action History Society and President of Kennington Cricket Club. Dr Tom Davies has been credited for playing a significant role in the development of transnational historical research, and is especially known for his work on the history of international non-governmental organisations. He has also published extensively on the history of internationalist thought, peace movements, and disarmament. 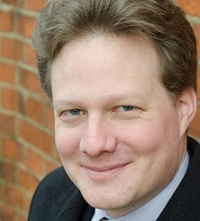 Prior to joining City, University of London, Dr Tom Davies was a Junior Research Fellow at St Antony's College, Oxford, and a Lecturer at St Catherine's and New Colleges in the University of Oxford. His doctoral studies were undertaken at Magdalen College, Oxford, and his thesis was awarded the British International History Group Thesis Prize. Dr Tom Davies is a Fellow of the Royal Historical Society.